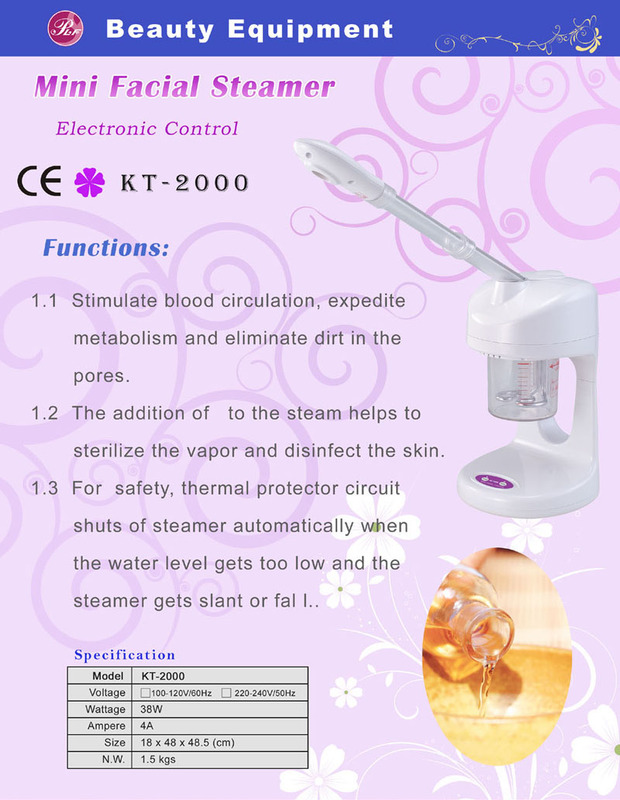 Taiwan Mini Facial Steamer (KT-2000), Skin Care Equipment, Beauty Equipment - Palifull Co., Ltd.
eliminate dirt in the pores. vapor and disinfect the skin. the steamer gets slant or fall.